Change your life! Become a PADI Open Water Scuba Instructor! Are you ready for a career change? Want to escape the 9-to-5 and make the ocean your office? Perhaps you just want to share the love of the underwater world. Or, maybe you want to make money doing something you love–SCUBA Diving! I have to say that, for me, teaching scuba is the coolest job ever. I get to share my love for the aquatic realm and work in a weightless environment. 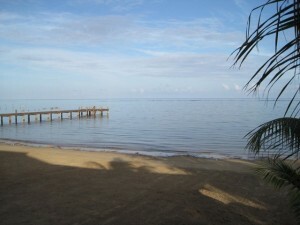 I get to travel to exotic locations (like Roatan, Hondurs, pictured above) as well as unique local dive sites. Scuba definitely changed my life; by becoming a PADI Open Water Scuba Instructor, you can continue your adventure and change the lives of future divers. 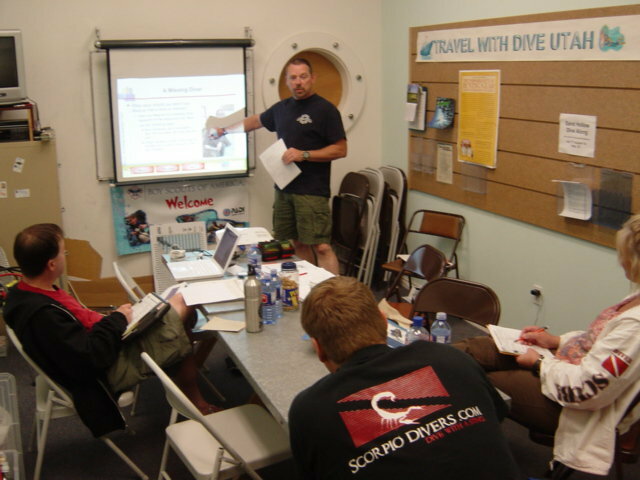 First, to enroll in the Instructor Development Course you need to be a Divemaster. From there we build on your knowledge and fine tune your skills. Not a Divemaster yet? No worries, keep reading! You’ll learn how to teach in the classroom, how to conduct training in confined water (pool) and how to conduct Open Water training dives. Then, we’ll expand your knowledge of the dive industry and where your dive career can take you. Now, becoming a SCUBA Instructor isn’t a cheap thing–and it shouldn’t be. You taking your lifetime of adventure a step further and you’re in for a big change in your life. So, what will it cost? From Divemaster to Instructor, including materials, tuition, becoming an EFR Instructor, application fees and the Instructor Exam fee, it runs about $3000-$3500. One of the key things we cover in the IDC, though, is how to get a return on this investment. Click here for materials for the PADI IDC. What’s involved in becoming a PADI Open Water Scuba Instructor? Score 75% or higher on each of the five theory exams covering Physics, Physiology, Equipment, Recreational Dive Planner and Dive Skills & the Environment; OR, complete the Theory online eLearning and provide a copy of the eLearning record demonstrating mastery of the Dive Theory material. You’ll also need to be a current CPR/First Aid Instructor. I typically conduct the Emergency First Response (EFR) Instructor course in conjunction with my IDC. IDC’s are typically scheduled to match up with PADI Instructor Exams(IE). IEs are held 4 times a year in Utah. Given enough instructor candidates, we can request an IE at any time. For 2012,, I’m offering two week-long programs, one in January and one in June/July. There will also be two multi-weekend programs in February/March and August/September. PADI has scheduled Instructor Exams for January, March, July and September. Click here for the 2012 Go Pro schedule. What if you’re not a Divemaster, or even a diver for that matter? No problem, logistics permitting you can go from non-diver to Instructor in 6 months. This will require a substantial commitment on your part, but we can do it. 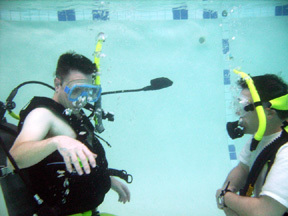 Learn more about how to go from a non-diver to Open Water Scuba Instructor in about six months.